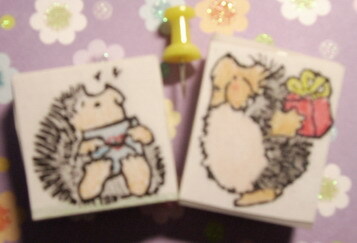 These hedgehogs are very cute!! 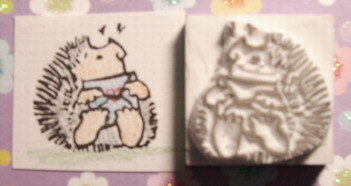 You are very good at stamp carving!! I'm really happy to see your message. 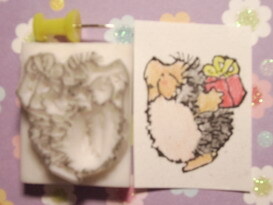 あるのが少し難しく，but I enjoy it very much! Expect your new work very much.